Review written by and copyright: James-Masaki Ryan (17th March 2019). Easily the most iconic Japanese film star of the twentieth century, Toshio Mifune left an amazing legacy on screen that may never be equaled or surpassed. His figures portrayed on screen were unforgettable. His facial expressions and body language were unlike any other. His ability to command and keep audiences glued were endearing qualities that were unconventional and mesmerizing. Though his entry into the world in front of the movie camera was basically by accident. Born in Manchuria to Japanese parents on April 1, 1920 and not setting foot into Japan until he was 21 years old fighting for the Japanese forces in the war, Mifune's life turned towards cinema after Japan's loss, when he submitted his resume to Toho Studios that was looking for new staff and stars. Considering his work behind the cameras during the war, he saw opportunity to possibly work behind the scenes on productions, but when his resume was accidentally sent to the acting pile, the rest can be said is history. With no formal training in acting beforehand and a look that was unlike many of the freshly groomed faces of young stars on film, Mifune's rugged looks, gravely and thick voice, and expressive nature led him to one of the greatest acting and directing partnerships in cinema, with Akira Kurosawa. The partnership began in 1948 with the police drama "Drunken Angel" and the pair made a total of sixteen films together until 1965's "Red Beard", with many other great masterpieces along the way. From the influential flashback drama of "Rashomon" that introduced Japanese cinema to the rest of the world, possibly the most influential action epic ever made with "Seven Samurai", the brutal, heartfelt, and comical "Yojimbo", and the intense kidnapping drama "High and Low", the pair's collaborations are in the ranks of John Ford with John Wayne, Alfred Hitchcock with James Stewart, or Martin Scorsese with Robert De Niro in director/actor pairings. 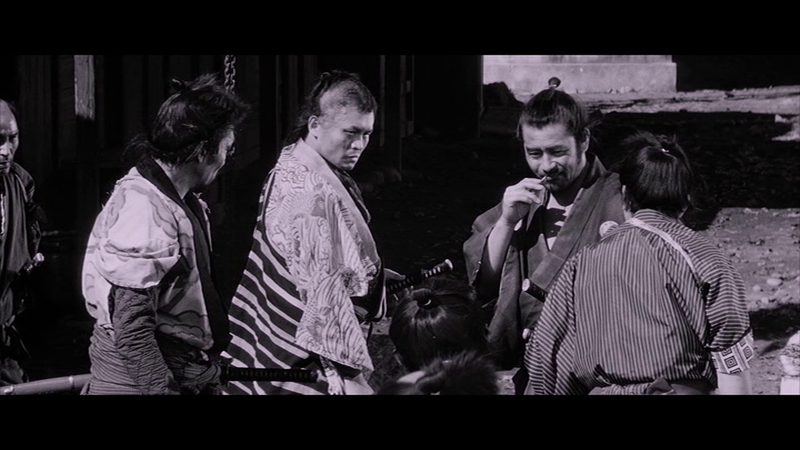 It wasn't just about the actor following orders but the actor creating something together with the director, and in the case of Mifune's works with Kurosawa, it was just the right touch. Kurosawa would often script his works with Mifune in mind, and would let Mifune run wild experimenting with the character created. It's unfair to say their sixteen films represent everything there is to know. Mifune worked on dozens of other films during his career with many other filmmakers and stars, and also for television in the later years. The "Samurai Trilogy" in which Mifune played the iconic samurai Mushashi Miyamoto earned raves from around the world, including an Academy Award. In "Life of Oharu" from 1952 showed his dramatic side, and "Samurai Rebellion" from 1963 was yet another of many masterworks to be spoken about. His fame was not only met with work in his home country but also abroad, with roles in "Grand Prix" (1966), "Hell in the Pacific" (1968), and "Red Sun" (1971) among others. His English may have not been very good and in many instances his scenes were overdubbed to make his character more understandable. Granted, that was also an issue with the Japanese productions. 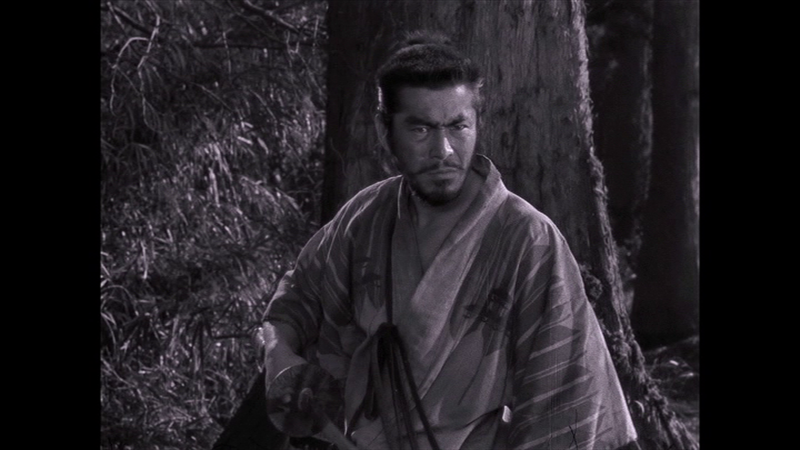 Kurosawa once stated that the only weakness of Mifune on film is that the microphones tend to not be able to pick up his iconic voice well, especially when he yells or screams. It's been more than twenty years since the actor passed away on December 24, 1997 at the age of 77. 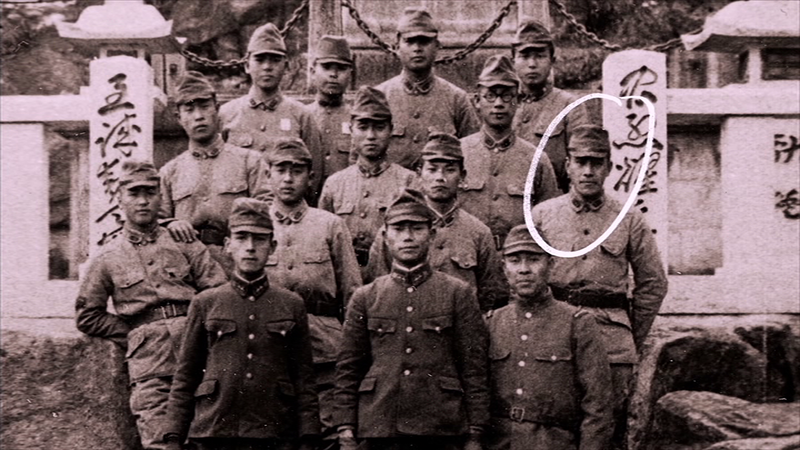 But besides what was seen on film, who really was Toshiro Mifune? The documentary "Mifune: The Last Samurai" sets out to answer to the viewers with a chronological telling of his life, from his childhood in China, his time at war, his film and television career, personal life, all told by the people who knew him well. 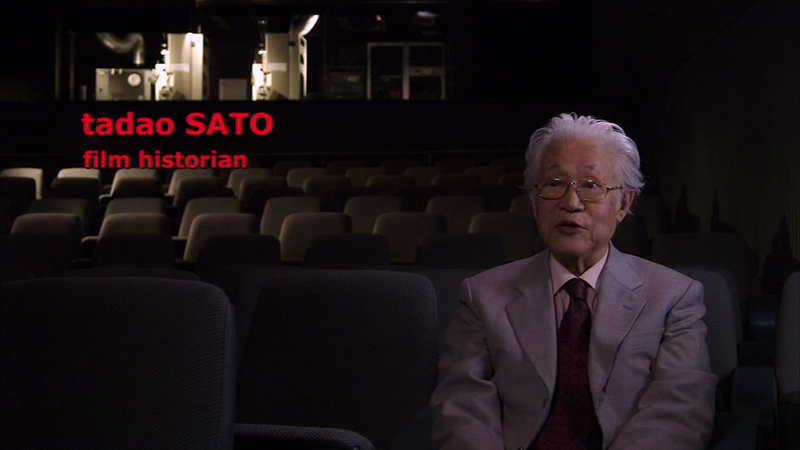 Interviewees include oldest son Shiro Mifune, co-stars Yoshio Tsuchiya and Kyoko Kagawa, film historian Tadao Sato, film star Koji Yakusho, and admiring Hollywood directors Martin Scorsese and Steven Spielberg to name just a few. Each participant gives a lot of information on the man along with film clips of various productions, still photos both private and of film productions, and do not shy away from negatives. His scandalous affair that produced a child out of wedlock, his love of fast cars and alcohol, financial issues with his production company are talked about as well as his greatness as a man on screen and off. 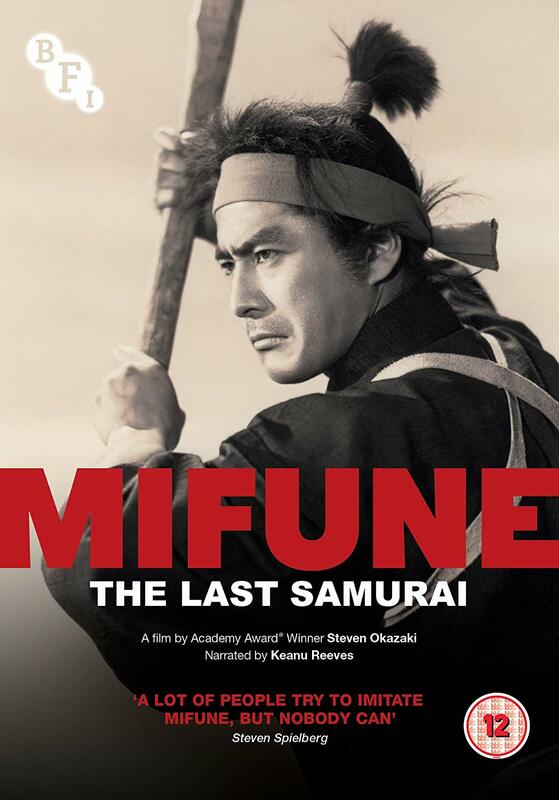 There is a lot covered, but the quick pace of less than an hour and a half for a documentary on one man's life as grand as Mifune's leaves a lot to be desired. There are many films that get a considerable amount of time with film clips and behind the scenes stories, but productions such as "High and Low" or "Shogun" get barely a passing mention, "Japan's Longest Day" or "I Live in Fear" are basically passed over. This is not a comprehensive filmography deconstructing each and every work and of course there are rights issues, issues with participant availability, and other complications, but it's easy for fans to think that this is just the tip of the iceberg and that is right. Directed by Steven Okazaki with a script adapted from Stuart Galbraith IV's essential book on the actor and his pairing with Kurosawa "The Emperor and the Wolf: The Lives and Films of Akira Kurosawa and Toshiro Mifune" from 2002, "Mifune: The Last Samurai" is more of a beginner's guide or cliff notes version of the life and work of Mifune, and that is not necessarily a bad thing. The documentary is well paced, well informed, and edited well even if the content is closer to the surface than fans may be fully hoping for. The BFI presents the film in a multiple aspect ratio presentation, in anamorphic 1.78:1 (with film clips in 1.33:1 with black bars on the side and 2.35:1 with black bars on the top/bottom) in the PAL format. The interviews were shot in HD and are very clear and detailed as expected, even if it is a standard definition transfer from an HD master. The archival footage does have its limitations, with scratches and specs throughout as expected from the silent era film clips and wartime footage. For the transfers of the films starring Mifune, many were using the masters from The Criterion Collection in the United States which released quite a few films starring Mifune over the years. A few of the black and white works have a slightly sepia or pink hue rather than true black and white which can be a little distracting, though other later films seem to have a more pure black and white tone. Of all the black and white films, the last one, "Red Beard" is the one with the most specs on screen, which is not surprising since it's one that Criterion hasn't remastered for Blu-ray yet. (Criterion, please upgrade it to Blu-ray and also please hurry with upgrading "Madadayo" to Blu-ray.) Overall it is a very strong transfer for the documentary. The film's runtime is 76:35. There are two audio tracks, a 5.1 mix and a 2.0 stereo mix, both are a mix of English and Japanese, depending on the speaker. Voices come in well and never have much distortion or problems and are well balanced with the narrator, Keanu Reeves who lends a soft spoken tone. The taiko based score is also great, using the surround channels actively when necessary. The archival materials are also using the same sources as the image, and sound fairly good, especially from the remastered sources. 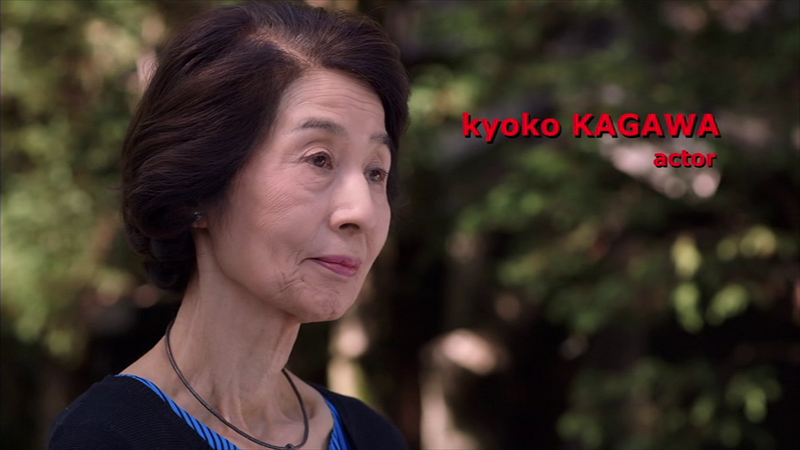 There are optional English (for Japanese portions), English HoH subtitles for the feature. The default settings are with the first subtitle track, which translates the Japanese interviews and film dialogue. The second also captions the English interviews and adds names in brackets when the speaker is not on screen. Both are in a white font and are easy to read with no errors to speak of. Spielberg's interview contribution is here in an extended form, as he speaks about the importance of the director/actor relationship, making "1941" with Mifune, about the man on screen versus the man off stage, and more. In this 1986 on stage Q&A at the National Film Theatre, critic and author David Shipman following a screening of "Throne of Blood", Mifune answers questions with an unnamed interpreter's help. 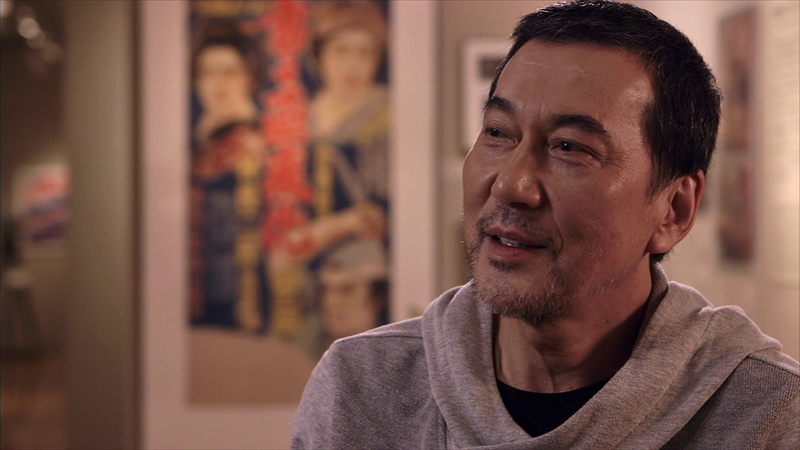 They discuss about his accidental entry into movies, "Rashomon" having unexpected success worldwide, his partnership with Kurosawa, his acting techniques and much more. This is an audio only extra in which the interview plays as an alternate audio track along with the film. There is some audio interference 40 minutes in which could not be removed. After the interview is over, the track's audio reverts to the film's soundtrack. The film's trailer is presented quite effectively. The 20 page booklet includes the following. First is an essay entitled "Mifune and Me" by director Steven Okazaki on his first exposure of seeing Mifune on screen as well as his first time meeting Mifune back in 1986. Next is "Why Did Mifune and Kurosawa 'Split Up'?" by Stuart Galbraith IV, discussing about the director and actor's works and lives after the lengthy production of "Red Beard" in 1965 and the factors for the reasons the never worked together again. 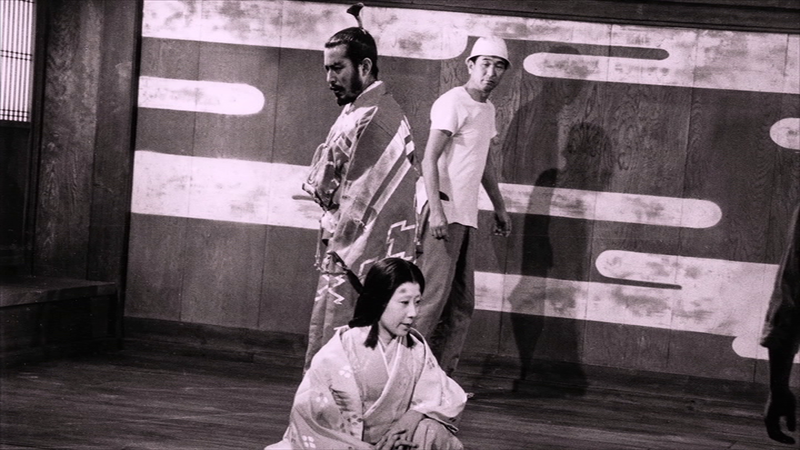 There is a short text interview with Steven Okazaki by Eric Cohn on making the film and Okazaki's connection to Mifune's works along with how younger audiences are getting further from the cinema classics of the twentieth century. 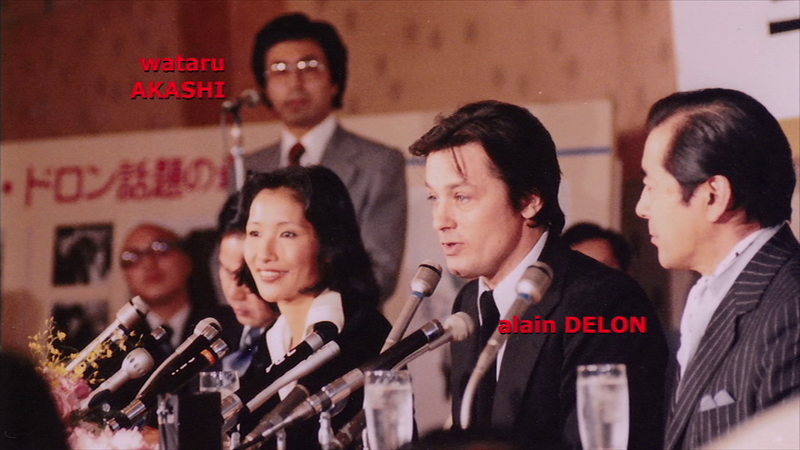 Next there are film credits, disc credits, biographies on Okazaki and Mifune, transfer notes, and acknowledgements. The film was released in the United States by Strand Releasing last year, only to have trailers as extras. This BFI release easily surpasses it in terms of bonus features. 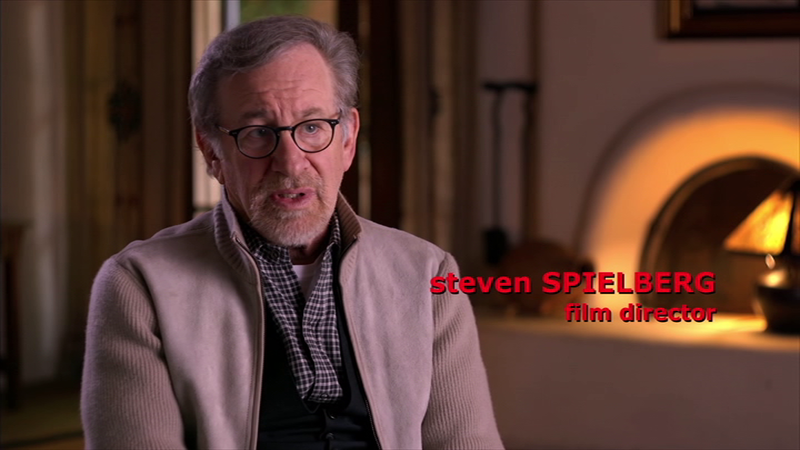 In April the film will receive a DVD release in Japan by Odessa Entertainment, which will include more than 100 minutes of extras, including the same Spielberg documentary, but adds a Steven Okazaki video interview, a 70 minute Q&A from 2018, the Japanese trailer, and optional Japanese narration. Also note we had an interview with writer Stuart Galbraith IV preceding the US DVD release in 2017. The interview can be read here. 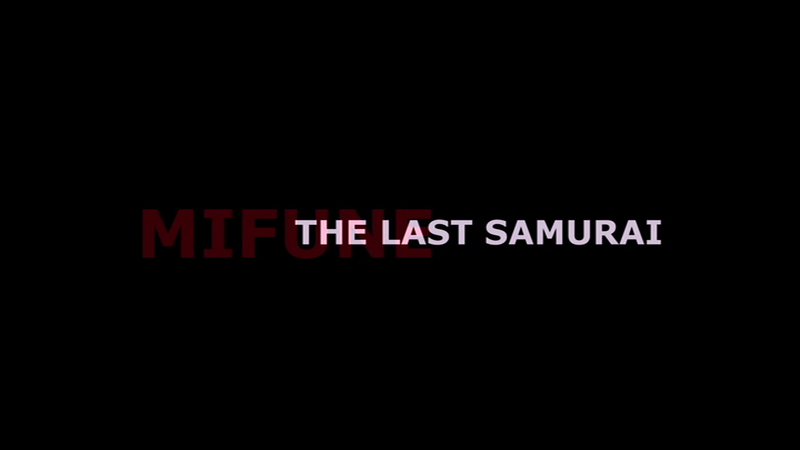 "Mifune: The Last Samurai" is a very condensed but packed documentary on one of the greatest actors the screen has seen. The BFI DVD release has a good transfer for video and audio along with great extras including the lengthy vintage audio Q&A with the man himself. Very recommended.